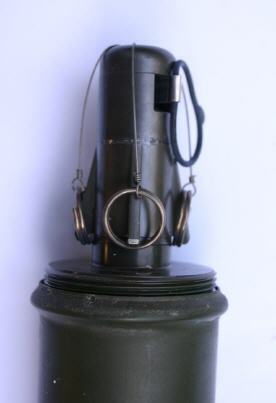 Weight: 335/620gram including 202gram illuminating compound. Photos of M70A5 below © M. Jochoms. 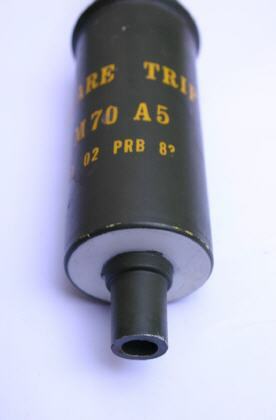 The body of this flare is made of aluminium. Removal of the protective cap reveals a 55mm long trip fuze, to which the trip wire is attached. The fuze has 4 possible wire attachments. 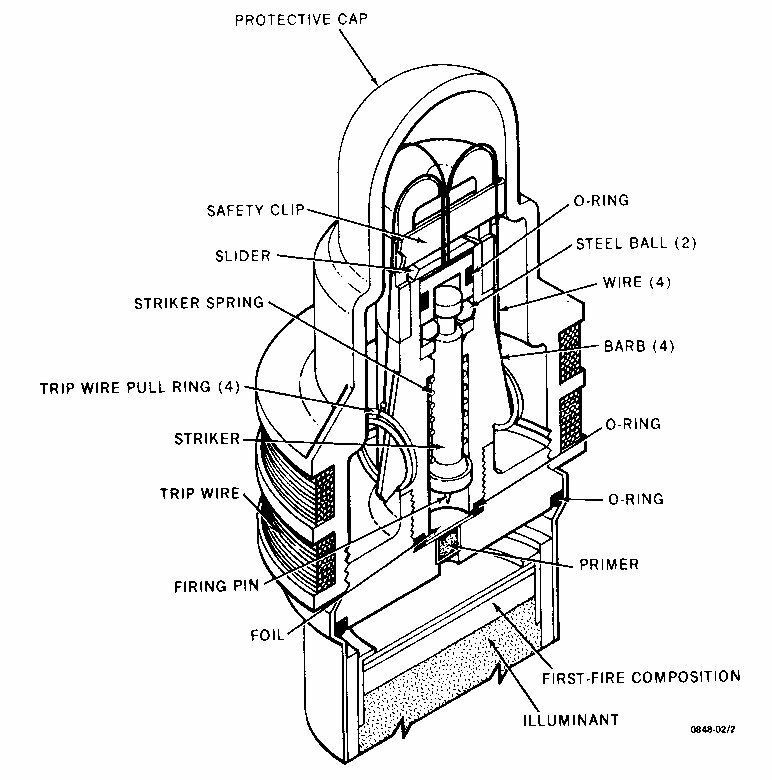 When wires are attached, the trip flare is armed by pulling the safety-strap/ring. 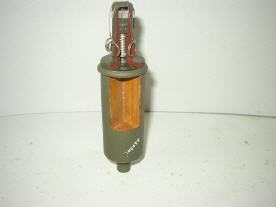 The base had an attachment for the flare to be set on a stake. 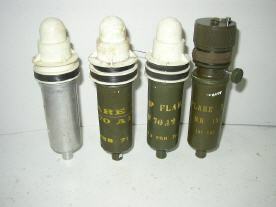 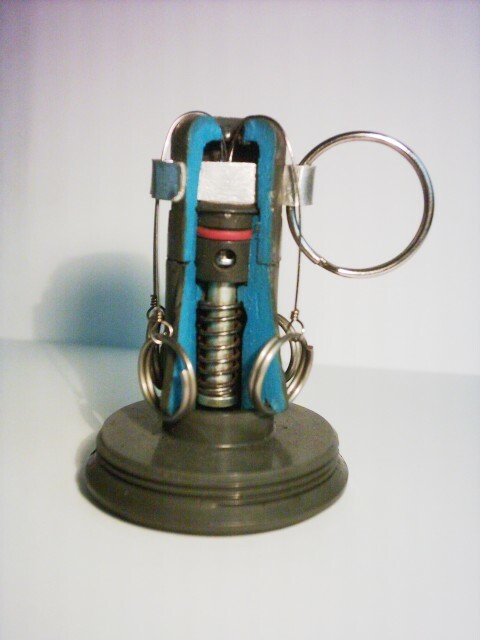 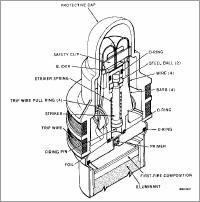 The photo on the right shows the fuze as a cutaway, © Allan.